@MattJabs Is it possible for an “up-side-down” homeowner to embark on an aggressive retire early plan? If so, what are some ways? Retiring becomes possible when incoming cash flows exceeds outgoing cash flows on a time-averaged (include depreciation, etc.) sustainable basis. The problem here is that you may have an outgoing flow that is too large making it hard to save enough in time to create a large incoming flow. There are many solutions. The indirect approach is to reduce the outgoing flow. This could be done by renting out the house and moving into something cheaper. You could rent out a room or the garage. You could cordon of a room and take a home-business deduction. On the side, you could make more money. More drastically, the house could be sold, even at loss, or it could be foreclosed. Both would affect credit rating. The question is, in ten years, what would the optimal choice have been? @rcrispe How does your family (parents, etc) respond to your ultra frugal ways? supportive? critical? They are amused but tolerant—this incidentally seems to be the general response to me 😀 . There are two issues here. The first issue is how they responded to me retiring from my career (I retired within one year of my dad, my mom is still working, and my dad has a part time job a couple of hours a day which he seems to enjoy, he’s an extrovert) and the second is the response to my frugal ways. In terms of the former, they have always focused on the importance of being happy in what you do (as long as you’re not doing something illegal). There was never any pressure to pursue a high status or a high income as long as you liked what you did; incidentally they like to work and have held jobs over the entire range of the socioeconomic spectrum. The second issue is not so much a frugal controversy, after all, I have the same things that they do, as much as it is a consumerism controversy. This mostly happens during birthdays and other events involving mandatory presents. I get a gift card and I’m frustrated because I don’t know what to do with it. Or I get money with them telling me to spend it on something nice for myself, so I buy stocks with it. Hey, that’s nice to me, but I think they were expecting me to go and buy some stuff instead. On the other hand, they have adopted a few of my suggestions. For instance, my 50+ y/o mom now rides her bike to work every day rain or not, I think it’s a 8-10 mile roundtrip, and she just had her first commute anniversary. I think they understand that I may be odd but generally quite competent and not crazy. It’s kinda like with the Highlander. First you may think it’s weird that he keeps to himself and wears a trench coat to conceal a sword. But then you learn that he’s an 400 y/o immortal who can only die if he gets his head cut off and then it all makes sense. 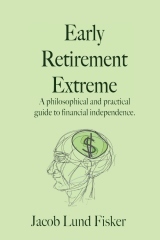 Extreme early retirement is similar, it makes complete sense when it is understood on its own terms, but otherwise it seems a little weird. @davecollins41 In reading through your prior posts, It’s difficult to see what you’re investing in. It appears dividend stocks – expand? I have invested in many different things to find out what works for me—I think that is important. Using a strategy that does not fit your personality makes you sleep poorly and I think sleeping well is more important than alpha(*). I have (owned) individual stocks, bonds, mutual funds, and I even have an index in my 401k (tracking the MSCI EAFE) due to limited choices there. I find that dividend stocks work the best for me because they offer some level of inflation protection, unlike bonds, they provide more control than funds, and they provide a somewhat dependable income which I like. If you find a good stock, you can hold it without fees and there are no gains taxes, even in taxable accounts, until you sell it. The capital gains tax is really a “trading tax” and I think many that tend to speak against owning individual stocks tend to ignore that that tax goes away if you are not changing position very often. If Berkshire paid a dividend, I would hold a really large position there, but the lack of dividends is really a big red flag for me. I do not like to depend on capital gains since I may be forced to liquidate low. Of course I could have a 3-5 year cash position and use that to get me over bumps in the market, but I still prefer the income. (*) Alpha is returns generated in excess of the market. @MoneyEnergy What are your investment strategies (& fave stocks? ), given your thoughts on our ecological future, living simply, etc.? I concentrate on individual stocks but I also have three large fund positions, FPACX, HSGFX, and DODFX. The former two provide excellent market commentary and I use that to guide my own investments. My buying strategy is to buy yields>5% and sell when the yield<3%. Also P/B<0.8 is a good guideline to cut down the universe further. For REITs the numbers are 15% and 10% respectively. Of course, this could lead one to buying crap close to the market top (I made that mistake, so I need to find a better measure for when things are undervalued. I think the recent crash made me realize that the market really does return from being overvalued. It's hard to believe when you've never seen it, though. I build positions by buying 100 shares at a time. I have 15-20 positions at any one time. I sell using the above guideline. The way I sell is to write a call on the position at the price where I would sell. Suppose that a stock pays $1 in dividends a year. Then $1/3%=$33.33 dollars, so I write a call close to that, say $35, 3-6 months out, if the stock is already trading close. This would give me about $100/100 shares in immediate cash. Written calls is a short strategy, so that reduces my volatility (by about half since the call is close to the money). If the stock(market) is on a run I use a trailing stop instead. In terms of the future, I think more expensive energy will make things more local. I like WAG (Walgreens) because they are conservatively managed and have good locations and they sell drugs to old people (selling drugs is very profitable 😀 ). I also like NVA (Novo Nordisk) which makes insulin to treat diabetes. So those two have demographic backing. I have a substantial position in GE due to their focus on alternative energy and nuclear. I also have a big position in Wells Fargo (WFC); I figured they would be one of the survivors of the financial debacle and lo and behold. Unfortunately, due to political interference, they have taken hits along with all the others and hence the stock price went all the way down to $8 at some point—I kept holding—and now it’s back up at $25. If I could have called the timing on that I could have been a millionaire now 😀 One stock I’m currently looking at is TRMD, a bulk shipping company. In general I do not try to pick stocks over a time range of 30-50 years which is when I thing sustainability will really make an impact. This also means I have positions that are not sustainable, like UPS. @philipbrewer How do predictions of future macro issues (inflation, recession, exchange rates, taxes…) affect your plans & strategies? Did you mean economic macro-issues exclusively? A big reason I’m in dividend stocks rather than bonds is inflation protection. I do not care about the recession for the same reasons — this would be a much bigger problem if I required 10% total return or growth. I do not think the market is cheap enough to make those strategies winning strategies over the next 10 years. In terms of exchange rates I keep a substantial foreign position for historical reasons. I am more than 50% international in my exposure. Even more if you count in transnational companies with US headquarters. I plan to beat the tax problem by staying in the lowest income tax brackets possible. My long term goal is to pay zero taxes. Non-economically, I do not want to depend exclusively on the market, so I try to develop skills that I could sell for, say, $500 a month on the free market, that is, without requiring an employer. I have one such skill already. I could probably make it two with some work on the blogging. I’m working on #3. I also plan to relocate north and most importantly, to stay very healthy. 7 users responded in " Twitter interview #1 "
Thanks Jacob. Lots of insight. My question: do you like to live in USA/California or at some point you will move (home or to other country). What’s the reason? I love how the format turned out. Maybe I’ll try it at some point. It sounds like you’ve got a really solid investment strategy. Those are some high minimum yields on REITs, though, it seems (for an average market). I need to learn how to sell calls at some point. I like how you buy stocks with birthday money, etc. I do that sometimes, mom always wants you to spend on something nice for yourself. I feel bad though if I were to use all their money to buy stocks – you know, just in case the market really does tank and not recover… 🙂 I also think it’s interesting to consider what stocks are “sustainable” – hadn’t thought of it quite like that, but it makes sense. I enjoyed the Twitter interview. Would be good to see this on a regular basis. What books/blogs/websites did you use to learn the options game? Your comments, along with my boss who is an options person, has me really intrigued. Out of curiosity, how would the plan go should a kid come along (if that’s in the plans of course). I second the question from Nicolas, especially if one would like to have the kid in their mid-20s (or in the middle of the 5-year retirement plan). I greatly enjoy your postings but I have a newfound respect for you for including a Highlander reference. Your status has been greatly enhanced :).